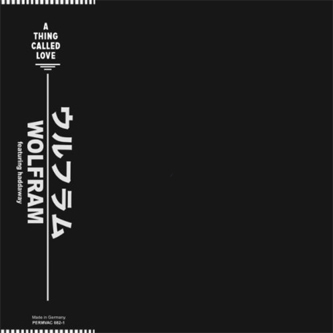 One of the highlights from Wolfram's eponymous debut LP, comes backed with remixes from Kink and Legowelt, plus another album track, 'Roshi'. 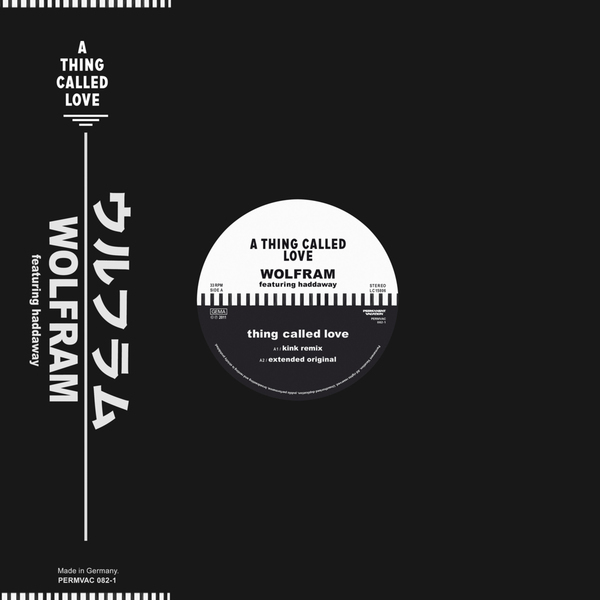 It's a bit of a coup to say the least, but Wolfram - the guy who famously introduced Hercules & Love Affair to Patrick Pulsinger - has only gone and got a Haddaway vocal for 'Thing Called Love', cementing the '90s revival so feared by Simon Reynolds with a tenderly euphoric Euro-beat and melody to match. The Kink remix bolsters this with haughtier drums and nuff big room reverbs, whereas Legowelt turns the other way, conducting rippling machine pulses for a slow burning, but more intimate, sensitive effect. The cheerfully cheesy 'Roshi' completes a fine package.